The two sizes of the book – the coffee table book to the left, the standard size, softcover book to the right. The Agfa Solinette II in the foreground is included merely for decorative purposes – it was not used in the creation of the book. “Jon Lord in the Nidaros Cathedral” takes you behind the curtain and into the last rehearsal prior to Jon Lord’s final concert at Trondheim’s mighty Nidaros Cathedral in Norway in 2010. Trond J. Strøm’s black and white photographs – carefully processed and lovingly presented in this exclusive book – portray Jon Lord in his right element – interacting with fellow musicians from the worlds of rock and classical music. Featuring the rhythm section from progressive metal band Opeth, and an orchestra assembled for the occassion by some of Norway’s finest classical musicians, the concert was a sold out success. I’m proud to announce that the book has been published. It is available in two different sizes, with two editions for each size. All editions have the same 58 photographs printed on 46 pages. The variations are just in binding quality, size, and for the top edition, the photo paper. The photo paper used on the three first editions is very good. The fourth is outstanding. Although the numbers might not indicate so, the size difference is significant. Hit the image below to view a preview of the first 15 pages. Decide which of the four editions you want to order. Click on the title below the image to read a description of that edition. Click on “Buy the book” below the image to go to place an order. 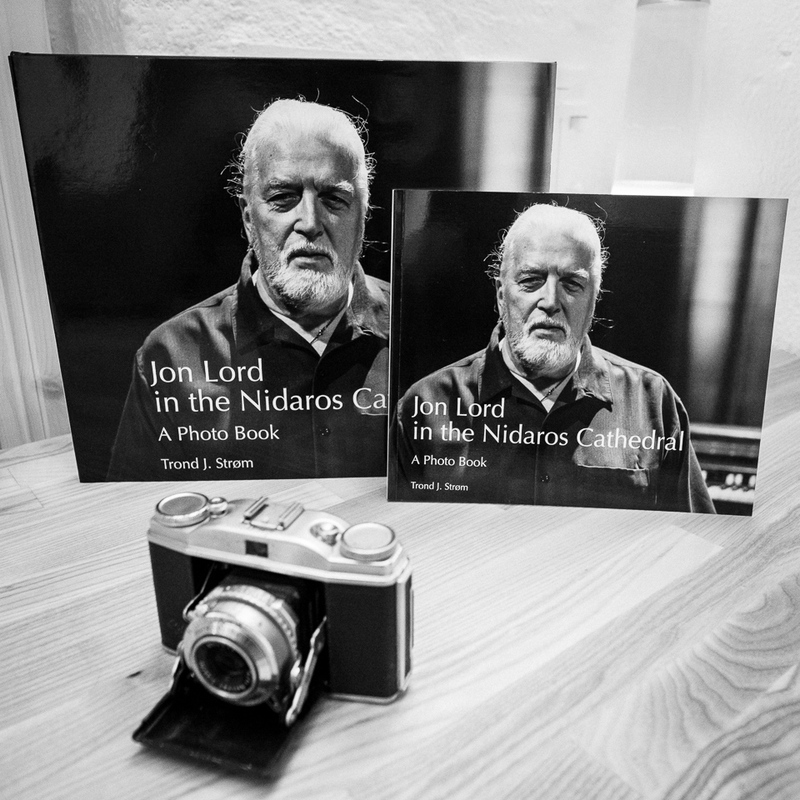 Jon Lord in the Nidaros Cathedral by Trond J. Strøm | Coffee Table Book Size, Hard Cover, Image Wrap, Proline Pearl Photo Paper – this is blurb.com’s best photo paper. This is the deluxe edition of the book. All prices are for the book only. Shipping, and potentially VAT (depending local law in your country of residence), will come in addition. Shipping costs will be added in the shopping cart before checkout. As this is a publish-on-demand title, please allow some time for the book to be printed before it is shipped to you. Expected shipping time will be displayed during the shopping process. In general, I’d tell you to expect at least one week from ordrering until you receive the book, and possibly two weeks or more, too. As the expenses for the project has been met, any further profit from sales will be donated in full to the Norwegian Cancer Society. The first donation has been made.(https://kreftforeningen.no/en/main-priorities/). The profit is set to roughly USD $10 per book for all editions, except the “deluxe” edition (4), where profit is set to USD $25. © Copyright Trond J. Strøm. All Rights Reserved. I would like to make a definitve order for the $129 edition and already make the payment. How can I do that? Then just hit “Add to cart”, go to the checkout page, and make your payment. I’m sure you can use PayPal, possibly you can pay directly via credit card as well. Hope this helps – feel free to ask if there’s more you’re wondering about! Here’s a fine article about the book from jonlord.org.